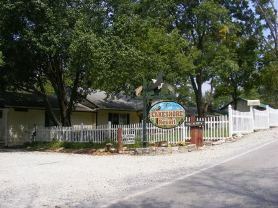 The Branson Resorts-Downtown are located on the shores of Lake Taneycomo. The area is rose colored on our area map. The lake wraps around the south edge of Downtown then curves into a north-south direction. On the western shore is Branson Landing and the old downtown Branson with its unique shops, restaurants, theaters and lodging. On the south end of Branson Landing and Bass Pro Shop is a beautiful RV and camping area on the shores of the lake. The eastern shore is spotted with great fishing resorts and views of downtown Branson. 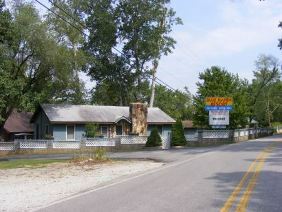 Along Business 65/76, which runs through center city, are several motels and a resort on Roark Creek. Crossing the old bridge provides access to the Branson Resorts-Downtown that sit on the eastern shore of the lake. As you cross the bridge, turn left on Hwy 76 East as it follows the lake turning north. The Highway veers east again in about a half mile where Lake Shore Drive begins in a northbound direction. The Branson Resorts-Downtown on this eastern shore are located in this area along and around Lake Shore Drive. Since rates can change with the season or the day of the week we list all Branson Resorts-Downtown in category ranges instead of trying to show all rates. These ranges are based on their basic rooms during a normal season. However the rates may be higher or even lower depending on various factors. The ranges are a guide only and are noted by the name on each page. A quiet resort close to entertainment, shopping and a host of activities makes for fun Branson vacations. Branson Resorts-Downtown provides an unique experience for the traveler. Most offer the serenity and beauty of a lake resort yet are just across the lake from Branson Landing and the historic Branson downtown area. Main Street downtown becomes the famous Hwy 76 strip as you head west with all the activities and shows that Branson is known for. If you are a fisherman these Branson Resorts-Downtown are likely what you're looking for. The lake is a cold water lake with superb trout fishing all year long. Branson Resorts-Downtown places you right in the middle of Branson Mo and its activities while giving you that fishing vacation and a Branson Resort you've been looking forward to. 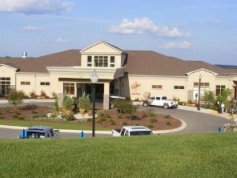 If you seek to add a little golf to your pleasure, Holiday Hills Golf Resort is just minutes east on Hwy 76 or you can choose from a number of golf courses around the area. This resort is listed in Branson Resorts-Hollister and in Branson Resorts-Golf. One more Branson Resort-Downtown that we want to include on this page is north of downtown on Hwy 65 in the eastern edge of the Branson North area (Blue on our area map) with shopping, shows and activities. Situated right off Branson Hills Parkway is Branson Hills Resort & Golf Club. The resort is adjacent to the Payne Stewart Golf Club. Since this is the only Branson Resort in the Branson North area, we have chosen to include it with our Branson Resorts-Downtown. The White river flows northward from its source in the Boston Mountains of Northwest Arkansas southeast of Fayetteville. Flowing north into Missouri, it then moves east looping south again into Arkansas and flowing into the Mississippi. In the 19th century steamboats moved up the White River bringing supplies to the area. Lake Taneycomo was formed when Powersite Dam was built in 1913 at Forsyth, MO. From 1913 till 1958 Lake Taneycomo was a warm water lake but that changed with the completion of Table Rock Dam which formed the new Table Rock Lake. At that time it started drawing its water from the lower depths of Table Rock. The 48 degree temperature near the dam creates the environment for Trout which Lake Taneycomo is known for. Lake Taneycomo gets its name from the Taney County, MO and is one of 4 manmade lakes formed by damming the White River. The other lakes are Bull Shoals formed with the completion of Bull Shoals Dam in Arkansas in 1951, Table Rock formed with the completion of Table Rock Dam in 1958 and Beaver lake formed with the completion of Beaver Dam in 1964.